The Cargo Area Security Cover for the Jeep Liberty provides peace of mind by placing valuables out of sight. Durable, long lasting fabric blocks UV rays and hides cargo contents from view. Cover retracts out of the way when not needed. Available in colors that match vehicle's interior. Same as factory. Quick and easy installation. Extremely happy with my purchase. Fit and color were perfect. Delivery was fast. Definitely shop from you all again. Thank you so much. Good customer service and good products. Happy to have my new cover. Security cover fit perfectly, and color matched existing leather seats/carpets. Item arrived quickly after purchased and packing was good. No breakage occurred or was evident. I will buy again from Just for Jeeps. 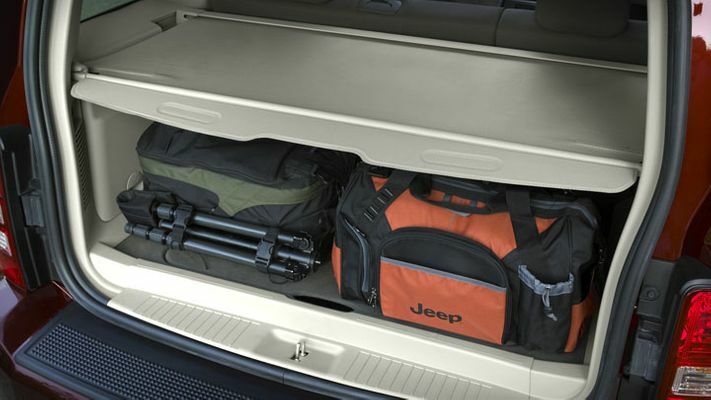 ProsCovers the area behind rear seats for more security of items stored back there. Spring loaded, so it rolls right back to the rear seat and is out of the way.